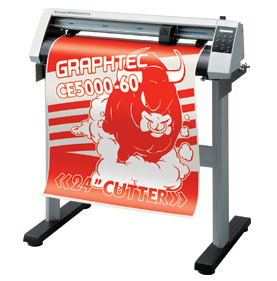 The Superior price/performance of the CE5000 transforms cutting jobs. Incorporates ARMS to ensure precise cutting. The ARMS automatic registration mark sensing function detects printing positions for high-precision cutting. The outstanding ease-of-use and performance of the ARM function increases label and sticker productivity. Four-point registration mark sensing and X/Y-axis correction (Graphtec original two-axis skew correction) uses high-precision positioning to ensure accurate cutting of graphics that have been skewed or distorted during printed. 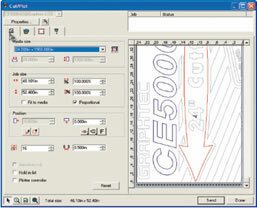 Layout instructions are sent together with the cutting data for designs printed using layout functions such as RIP, enabling continuous detection of registration marks for cutting. This significantly reduces work times and increases productivity. The intermediate registration marks in the media feed direction are detected to allow four-point correction for each individual segment area. 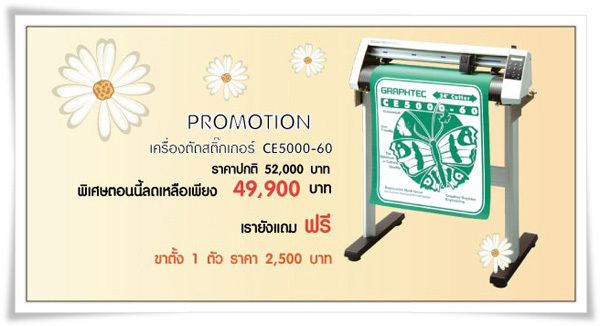 This enables high-precision positioning of the whole area of skewed prints produced using long-length printing. The first registration mark is detected automatically, eliminating the need to move the sensor to the registration mark manually. Subsequent registration marks are automatically redetected even if sensing errors occur, simplifying the process of registration mark sensing. Registration mark commands are provided to control ARMS functions from a PC. Registration mark data including size and spacing can be controlled to simplify operations. that improve work efficiency and simplify operations. 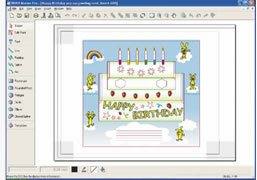 This plug-in application allows direct cutting from graphics applications. 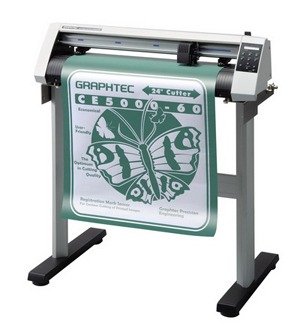 For higher productivity, create graphics or text in Adobe Illustrator or CorelDraw, then simply output directly to the plotter. This application allows direct control of a wide range of CE5000 functions from a PC, including cutting speed, cutting pressure, pen movement, and ARMS control. 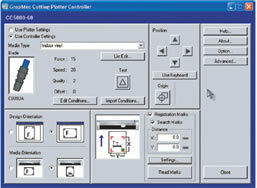 The ability to control various plotter settings from a PC dramatically improves work and operating efficiency. This sign creation application is simple and easy-to-use, even for first-time users. Create and edit graphics and text for simple film cutting. 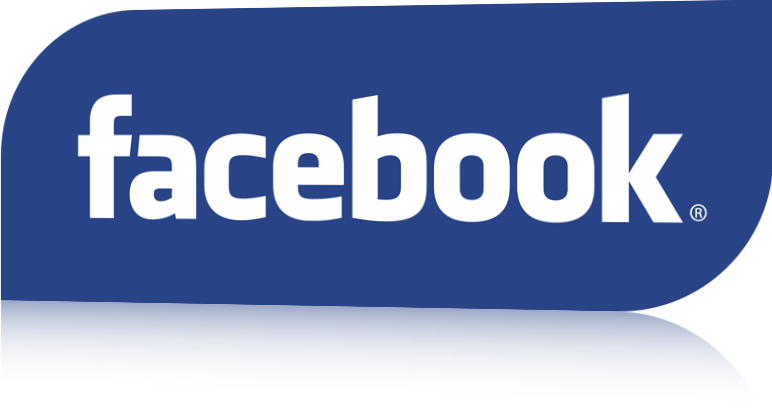 The application provides a function for use on stickers or labels. A standard roll media holder ensures consistent media feeding. A dedicated basket is available* to provide peace of mind for long-length cutting. Icons and buttons on the interactive LCD display are labeled for ease of use. A storage space is provided for small, frequently-used items such as cutter plungers and cutting blades.